Writing an application letter may seem tough. But with a few simple steps you can be on your way to applying for jobs like a pro. No more wondering exactly what to write next time you apply for a job. Below is a six step guide complete with an example of how to write an application letter for any new job applicants to follow. Enjoy! Your application letter should feature the date that you are applying for the job. 01/08/18 or Wednesday, the 20th of March. It’s important to list the position you are applying for, put it right up the top of the application letter, preferably in bold or large lettering. It lets the employer know what job you are applying for. Application for: Marketing Manager, Company XYZ. You should always list your contact details on the application letter, you can never have these listed enough as employers will need them handy, and let’s face it they’re always in a rush. It’s important to include the employer’s name in your application letter, as it makes it more personal and speaks directly to the person. Here’s where you can get a little creative, our advice is to avoid sounding like a robot and everyone else! So put a little effort into making your actual body copy interesting and engaging but not too long! Your body copy of your application letter should be one paragraph maximum. Remember employers are getting lots of applications and they are often quickly skimming over people’s cover letter and resumes. At UpResume one of our favourite and most popular ways of writing cover letters is the ‘5 reasons method’. It’s short, punchy and gets to the point with no messing around – it’s also really easy to read quickly. Finally at the end of your cover letter you should sign off. Signing off is relatively simple. You should always end with a call to action, and your name. That’s it, this cover letter template is tried and test and will surely improve your chances of landing that dream job sooner. So there you have it, how to write an application. 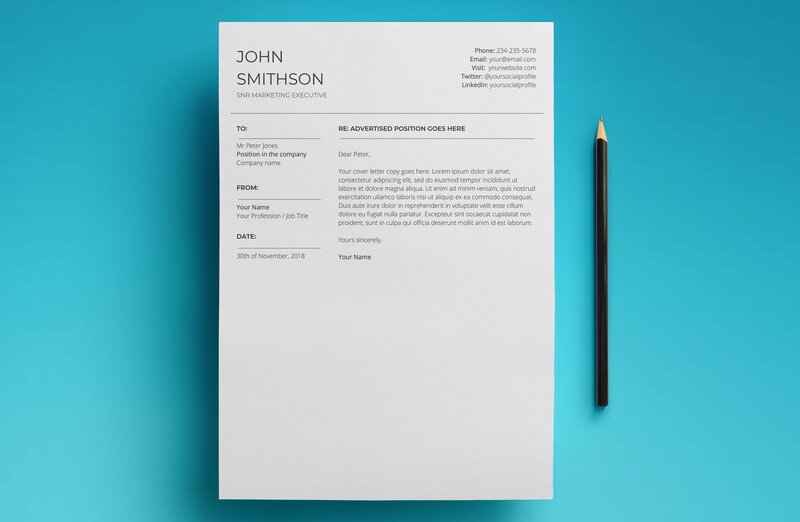 Rememeber of examples of this application letter and amazing resume templates, check out 6 great examples on UpResume here.